China's appetite for liquefied natural gas (LNG) has not slowed, but its purchases have been spread more evenly, avoiding last year's sudden spike to meet winter demand, Australia's top independent LNG producer said on Tuesday. LNG demand from North Asia's main hubs in Japan, China and South Korea has slowed in recent weeks, raising concern that forecasts for a milder than usual winter may dent consumption. There are also signs that the ongoing Sino-American trade war is starting to dent industry in China. 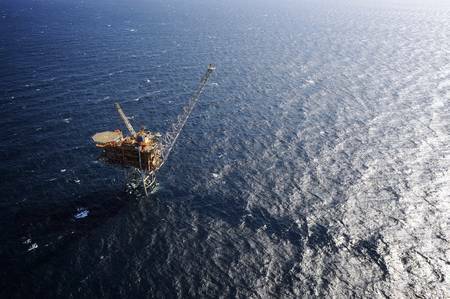 "We're not seeing a slowdown," Woodside Petroleum Chief Executive Peter Coleman said. "China learned from last year, from the last winter, that the peakiness in demand in the market really distorted the market. It distorted prices, and it meant they were not able to get gas to consumers in China during the peak of winter." He said China has flattened that demand by buying across the year, while the volume overall has grown. "So the total is increasing, but the peakiness has gone out of it," Coleman told reporters after speaking at the Melbourne Mining Club. Woodside sells most of its LNG to customers in Japan and South Korea but has a tie-up with privately owned ENN Group to boost sales in China. Coleman said Chinese demand for cargoes for delivery in February would be the real measure of how prepared the system is for winter. Those cargoes would need to be bought in December. "So in December we'll start to see how people feel they're positioned," he said. Energy consultants Wood Mackenzie expects China's LNG demand to be 28 million tonnes this winter season, which runs from mid-November to mid-March, up 30 percent from last winter. Coleman said in the short-term there had been no impact from the U.S. trade war with China, as U.S. LNG cargoes were making bigger margins flowing into Europe instead of Asia at the moment. Longer term, the trade war may delay final investment decisions for some new LNG projects in the United States, especially those being built by smaller companies, which need buyers to underpin long term contracts. "You're not seeing the Chinese buyer in that particular market at the moment," Coleman said. Australian-listed LNG Ltd last month said it was delaying a final decision on whether to build its Magnolia LNG plant in Louisiana, citing difficulty in lining up Chinese customers due to the trade war.